Building on the history of Nintendo, which is rooted in innovative entertainment and gameplay experiences, Nintendo Labo continues the company's mission of putting smiles on people's faces. With each Nintendo Labo kit, inspired minds across all generations can transform modular sheets of cardboard - specially designed to interact with the Nintendo Switch console and Joy-Con controllers - into interactive creations called Toy-Con. From a piano to a motorbike, a robot and more, each Toy-Con comes to life when combined with the Nintendo Switch in different ways. As you make, you will have fun discovering how the technology works and even invent new ways to play with each Toy-Con. With Nintendo Labo, making and discovering is just as much fun as playing. Every Toy-Con creation presents exciting challenges and varying degrees of complexity, so each one is a unique experience. Making Toy-Con is especially fun with family and friends, as you collaborate and share each other's Nintendo Labo experiences. Once built, those with a creative touch can customise their Toy-Con creations with their own colouring pens, stickers and paint to give them a personal feel - the only limit is their imagination. 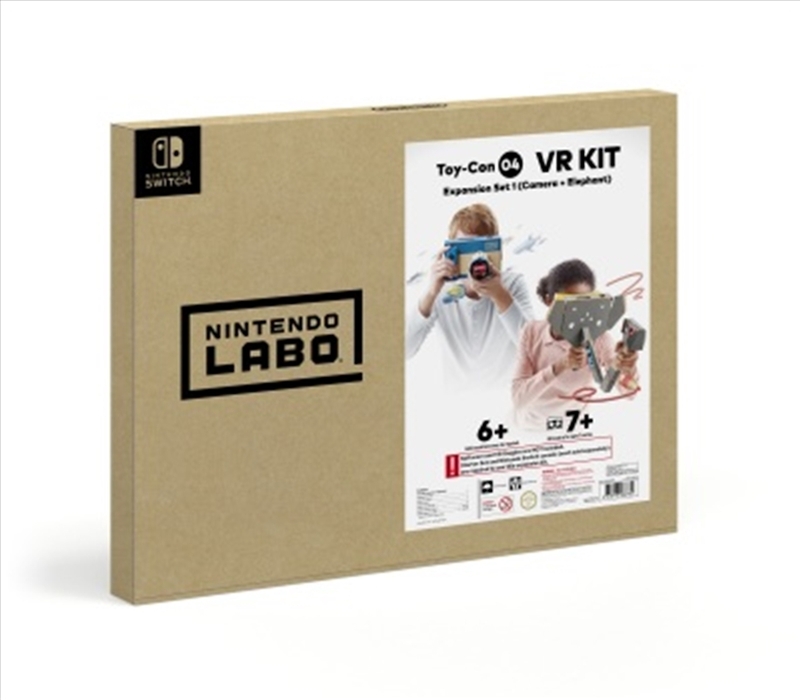 Nintendo Labo: VR Kit is a unique first VR experience that kids and families can build themselves, combining the innovative physical and digital gameplay of Nintendo Labo with basic VR technology to create a simple and shareable virtual reality experience.